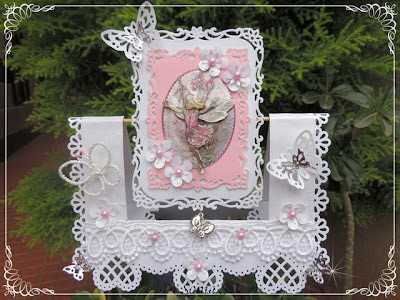 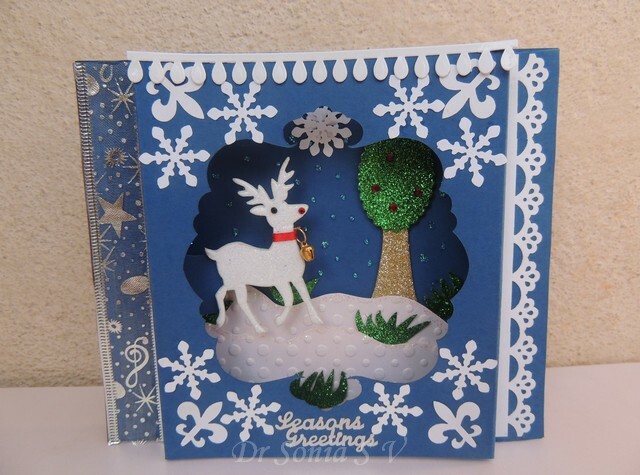 Dear friends Thank you so much for the heartwarming comments on my compilation of Card Making Tutorials...it is your comments which makes blogging so worthwhile!! Sharing yet another CD case recycling craft in our series of Teachers Day gifts..this time with handmade paper flowers. 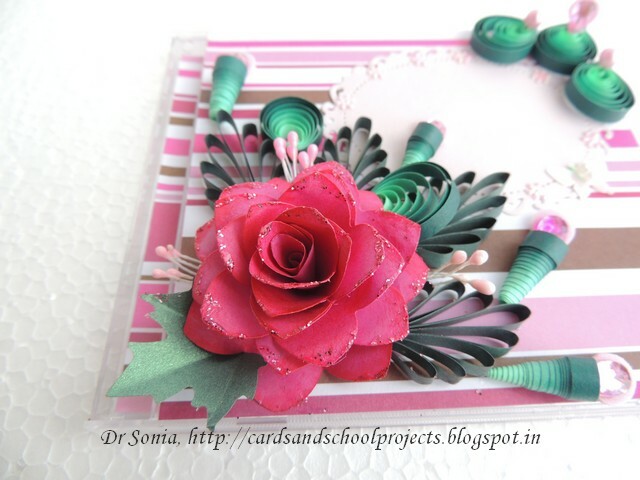 I made the flower using the same die I used to make foam roses--it is so funny how many different types of flowers we can make with the same shape! I do urge shopaholics [myself included Ha Ha]to experiment with the punches and dies you already own [Craft supply sellers do forgive me!! 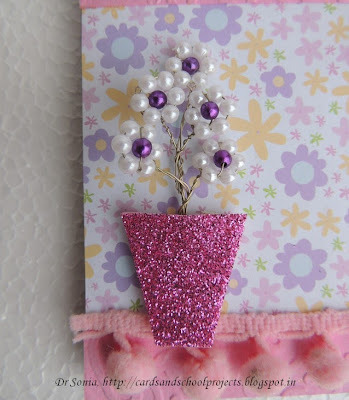 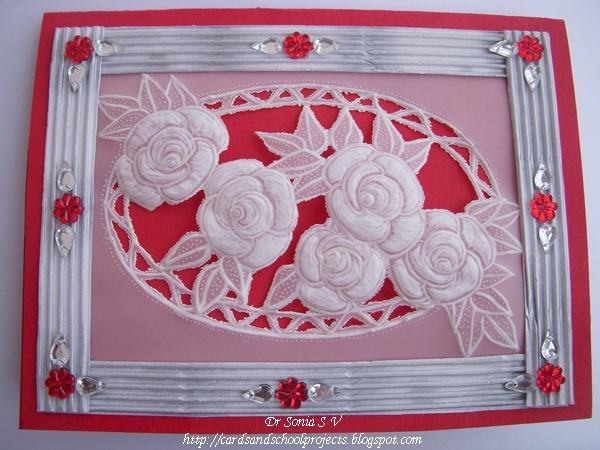 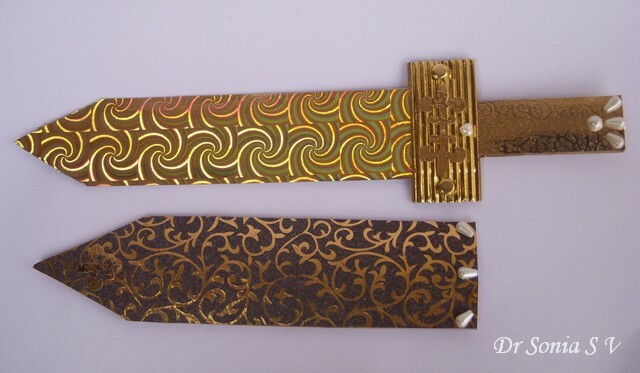 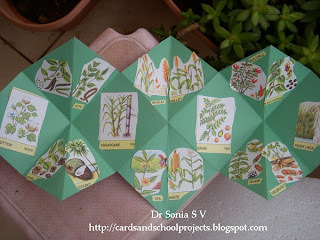 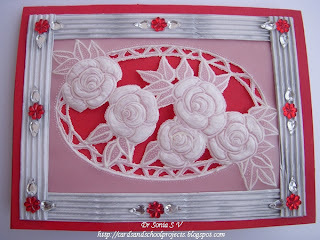 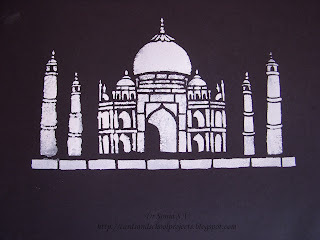 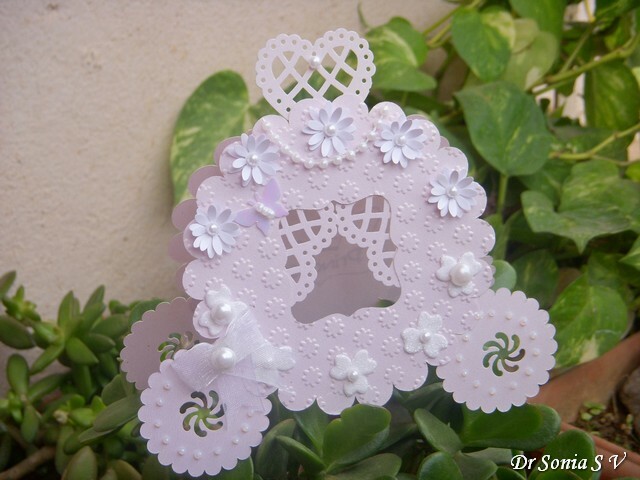 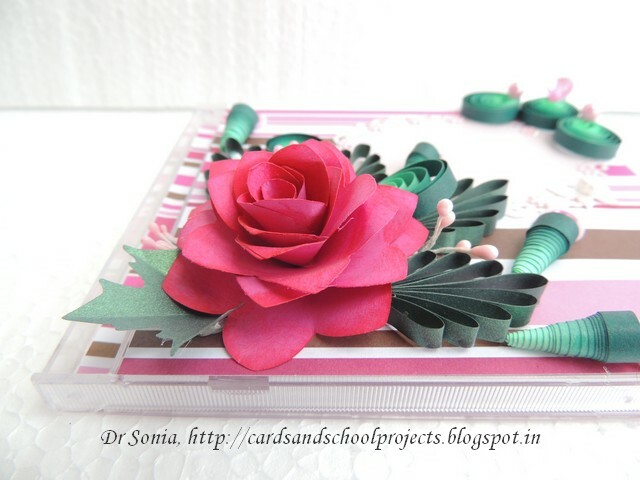 ]to make different types of handmade paper flowers . 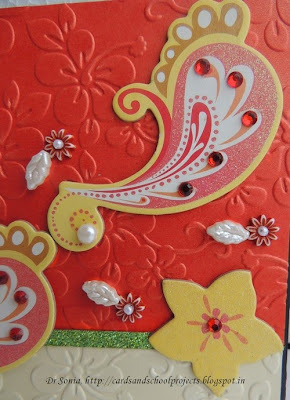 For some reason I didnt quite feel the flower was glamorous enough so glittered it up a bit! I now think I liked the un-glittered flower..what is your opinion friends? 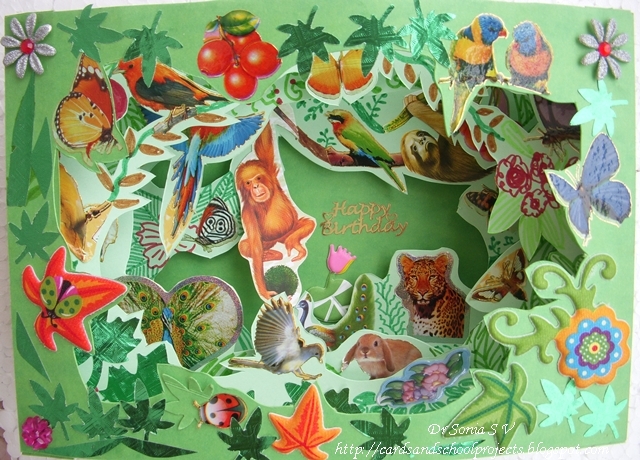 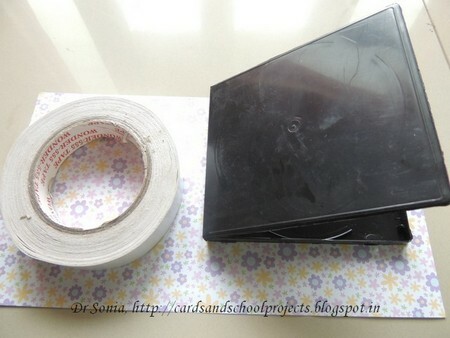 Here is the recycled CD case opened up to show the notepad we inserted inside to make the Teachers day gift. This time I used a transparent CD case..it was in a way easier than my earlier CD case notebooks because I could use thin pattern paper to line both the inside and outside of the CD case and I didnt have to cut central protrusions as I had demonstrated in the How to recycle CD cases post. 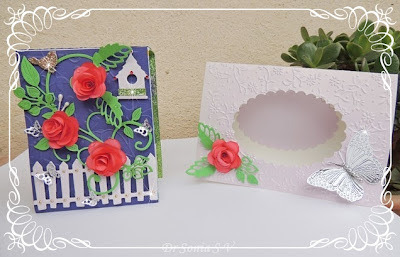 On a happy note 3 of my tutorials got featured in Totally Tutorials .The How to recycle a CD case was featured yesterday and I was so stunned that my page views hit sky high with that post at 4,645 views on a single day!! Do tell me how you like this project. 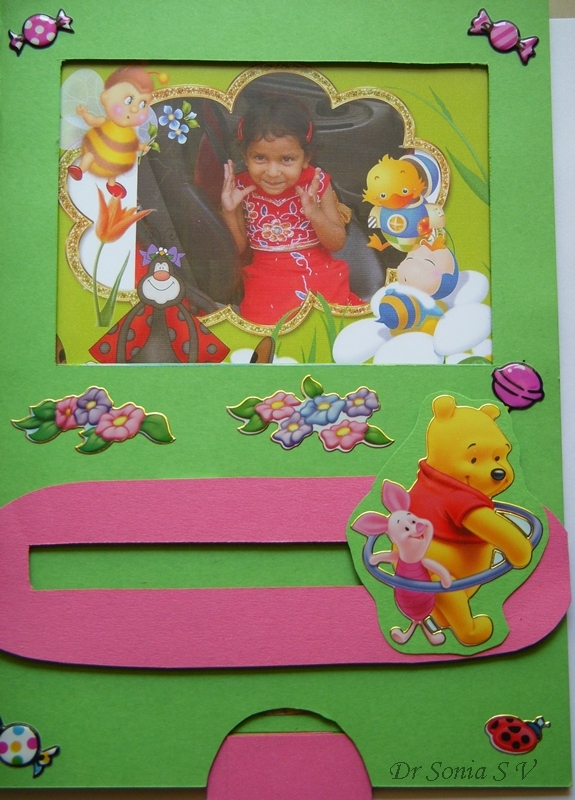 You can make an image pop up by pulling up a sliding tab on this pop up slider card. 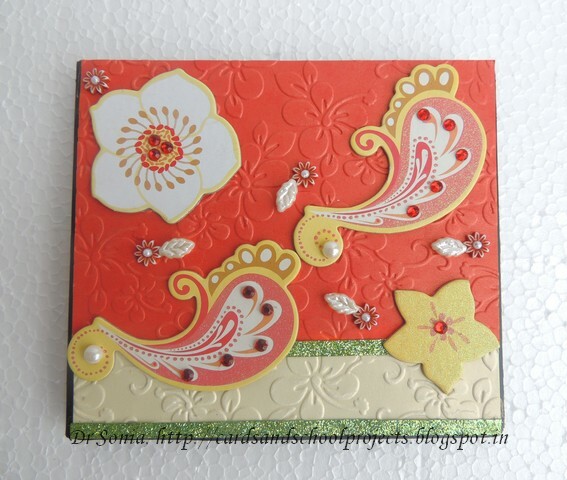 This small square book will transform into a large spread on opening! 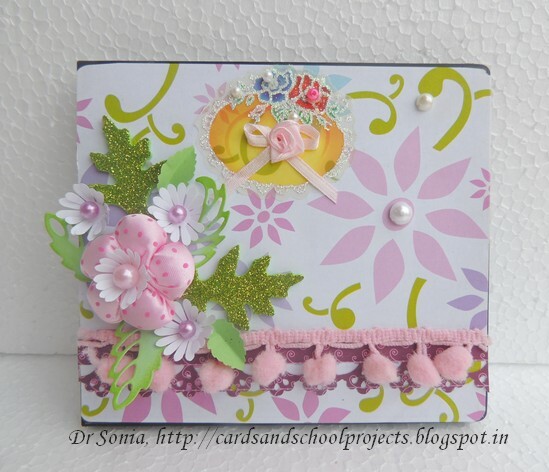 Hope one or two of these card tutorials at least will be useful to you. 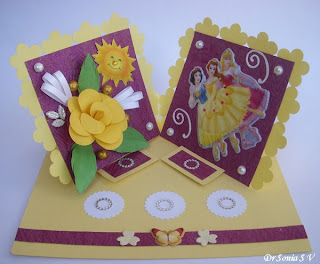 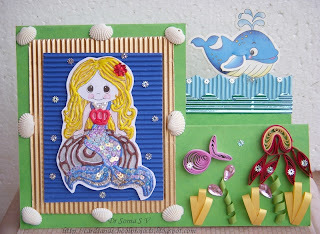 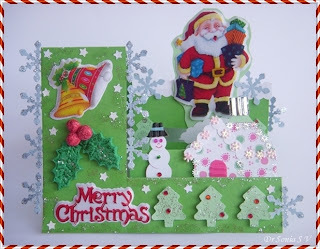 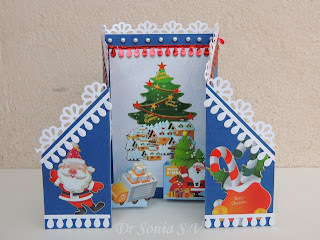 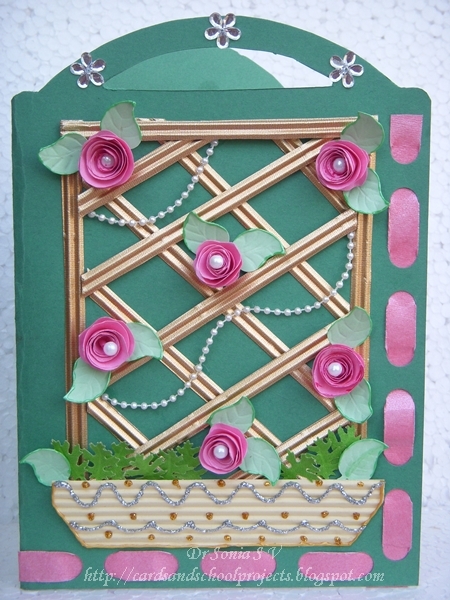 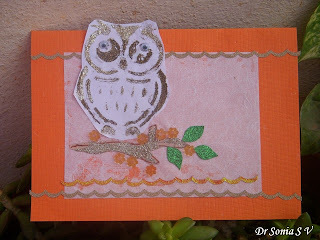 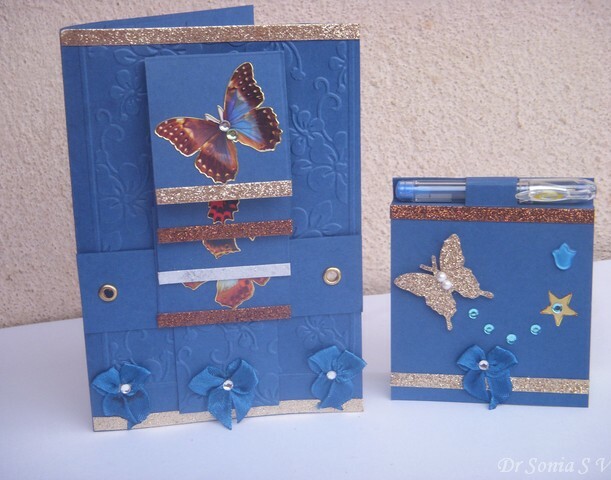 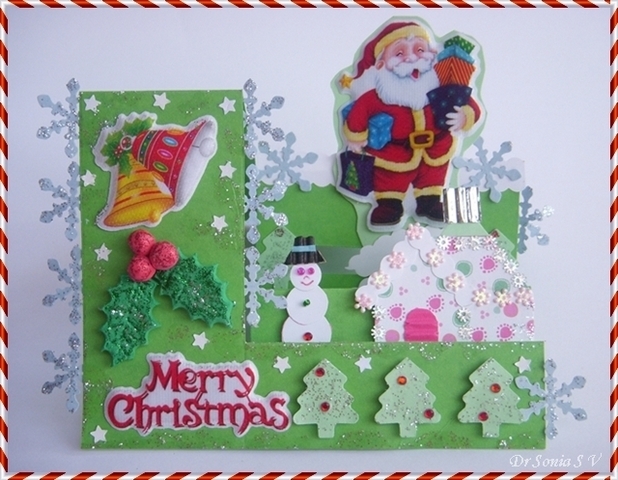 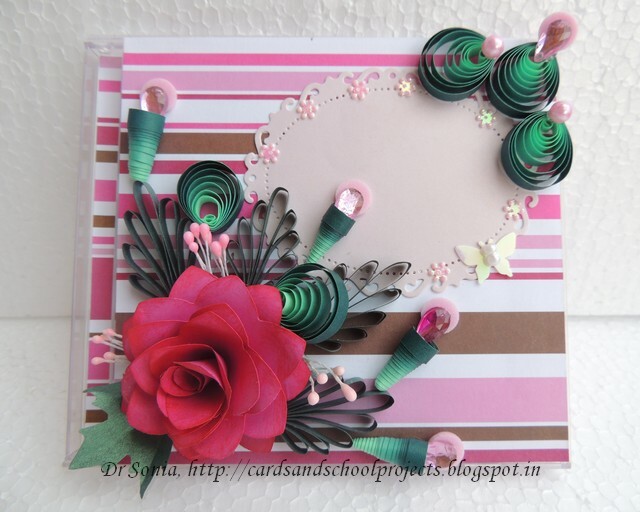 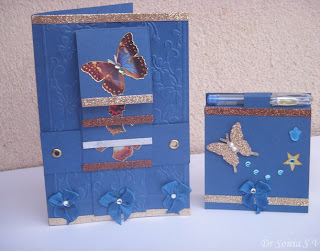 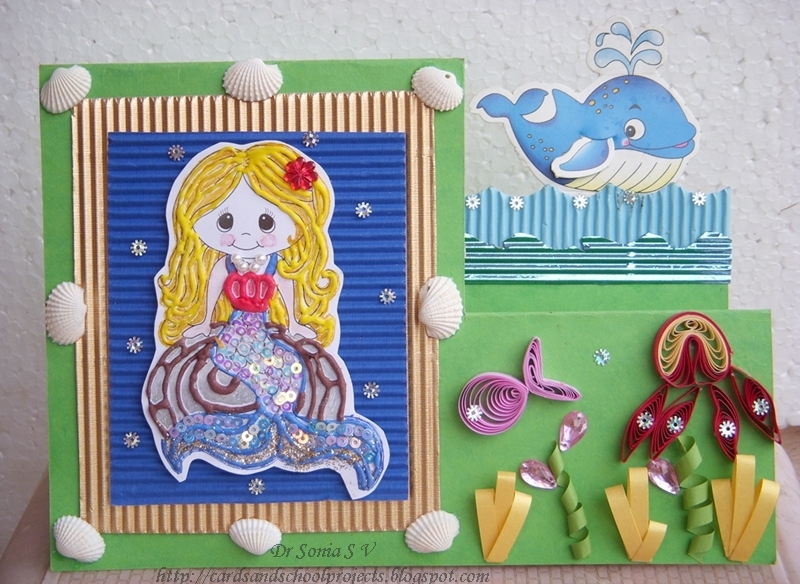 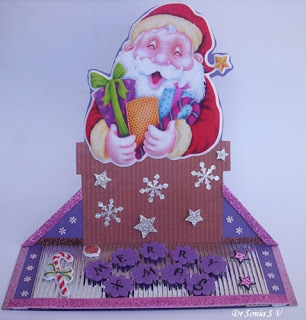 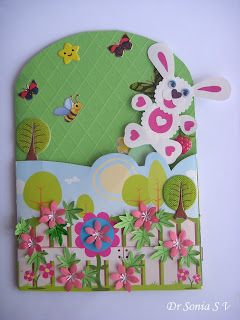 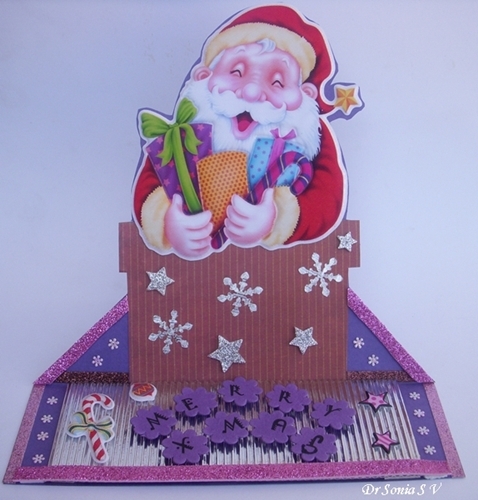 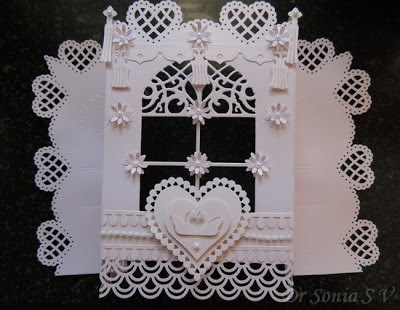 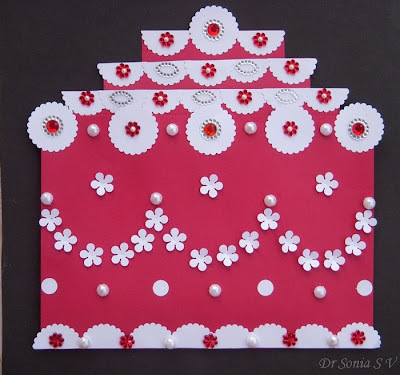 Follow me on Pinterest for more awesome Card tutorials from around the world. 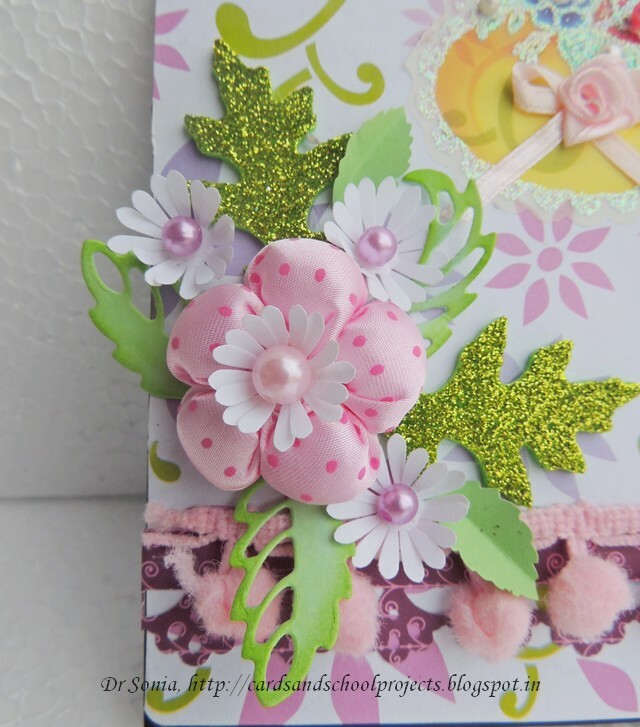 You can click on this follow button and it will take you to to my Pinterest Boards with lots of tutorials. 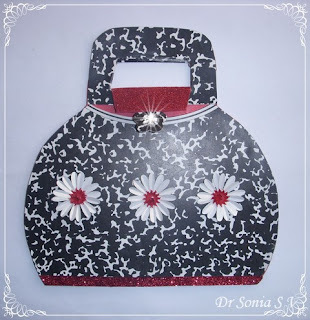 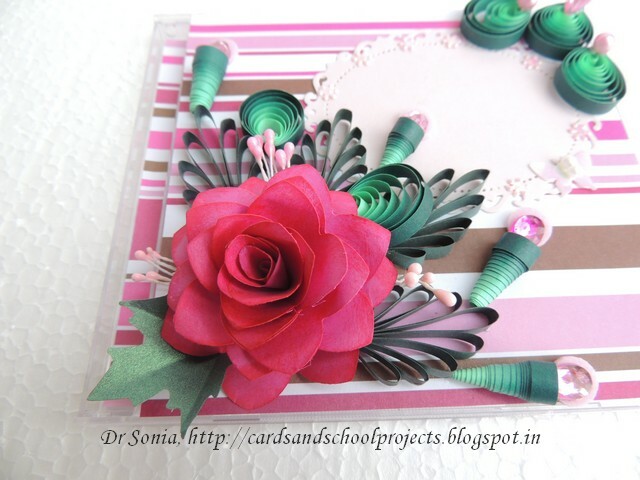 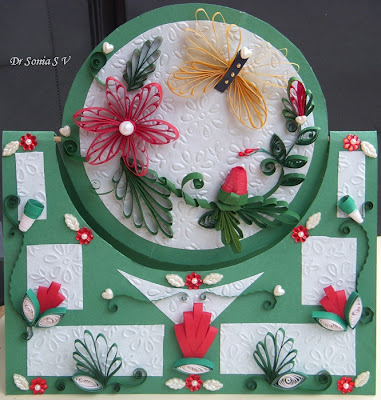 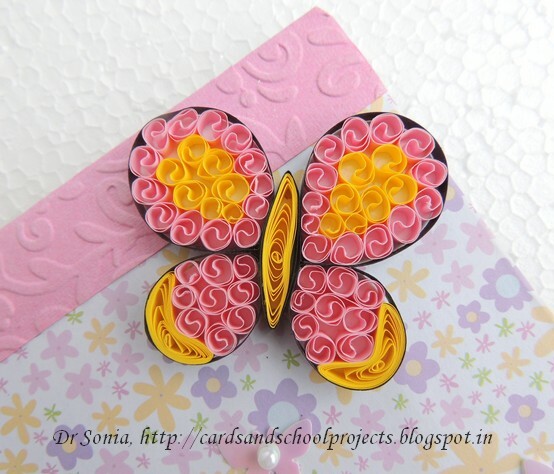 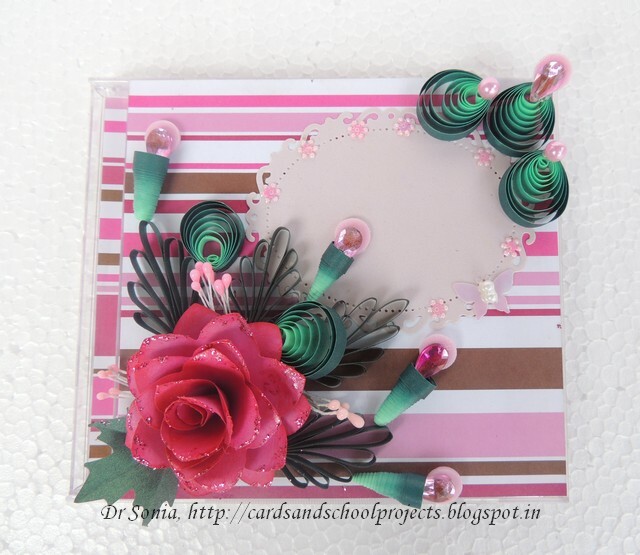 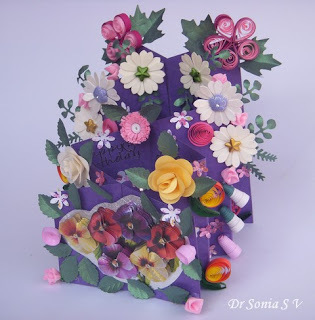 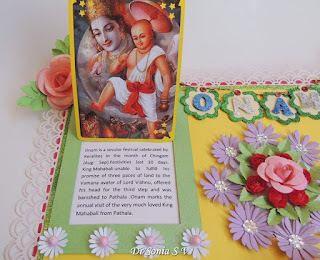 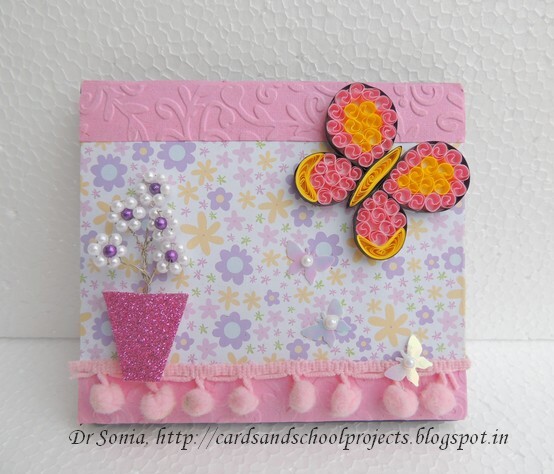 Hi friends sharing yet one more of our series on Teachers day gifts.This time I embellished the recycled CD cases with beaded flowers and quilled butterflies. 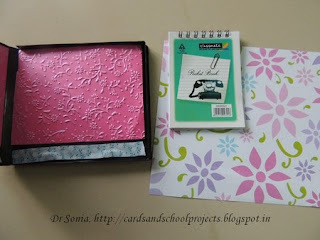 My little one helped make the pens by rolling the paper on the inner refill.We then inserted the refill back in the pen and chopped off the excess paper. 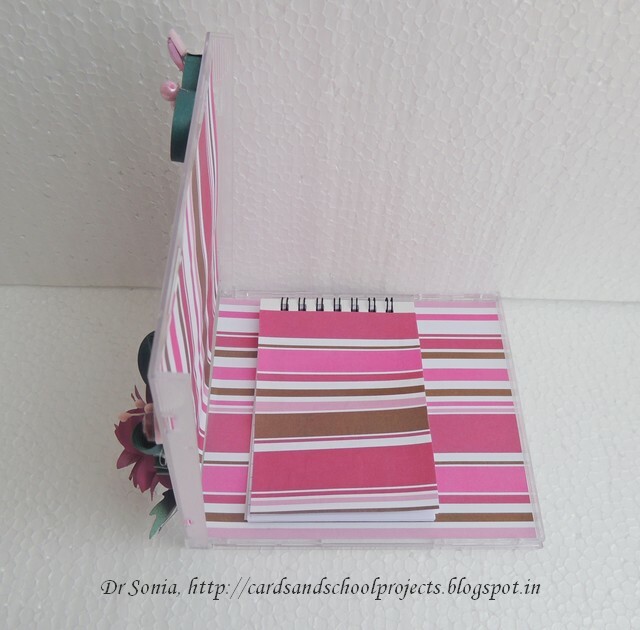 I hope this post is useful as an idea for handmade gifts. 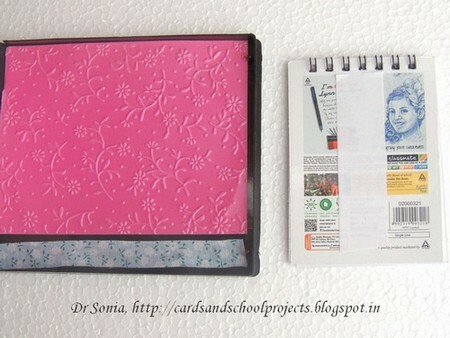 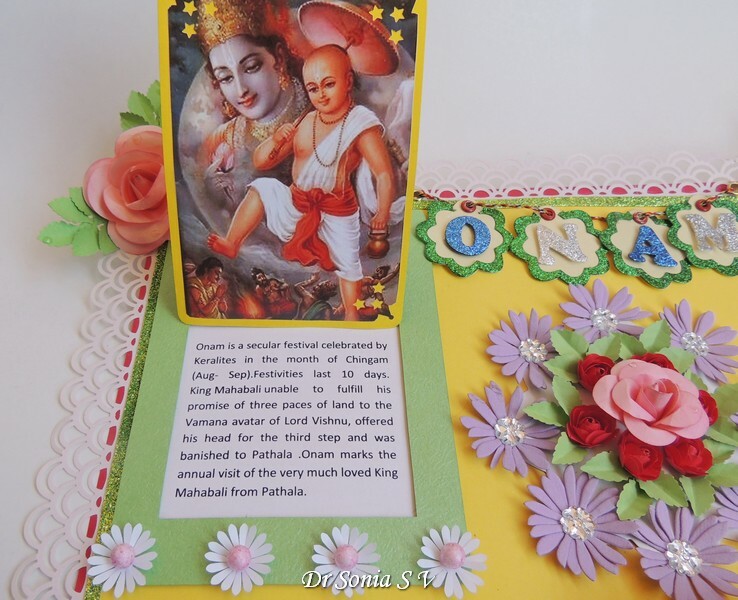 Here is the promised mini tutorial on how to recycle CD cases into notebook holders [this years Teachers Day gifts]. 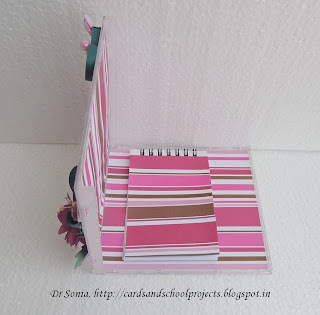 Since I am a big fan of recycling crafts I am always on the look out for recycling ideas..I'd seen DVD case notebooks and post it note holders but googling up instructions for how to recycle CD cases specifically yielded nothing much so sharing how we went about recycling CD cases. 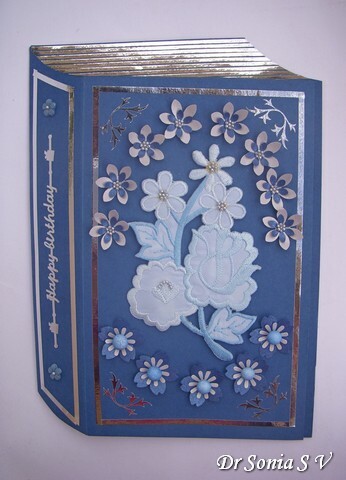 The glass type does not have very sturdy hinges and one broke while I was embellishing it so I would urge you to try out the hinges before you embark on recycling it. 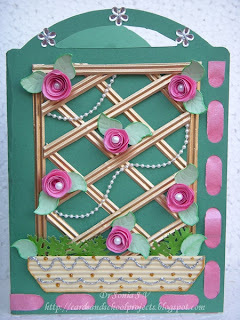 1.Test the hinges -discard those that look suspiciously likely to fall apart!! 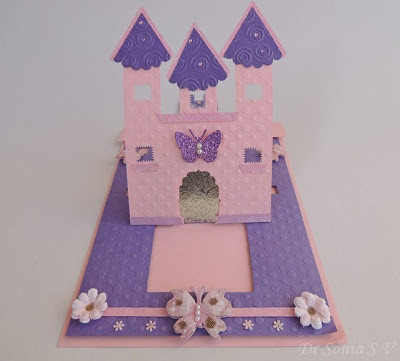 2.Check the inside and use a craft knife /scissors to cut off protruding center of plastic from the inside as shown in the pic above . 4.If the inside has a bit of bumpy surface use card stock[thick paper] to line it otherwise thin paper will look unsightly and tear too!.Double sided tape [not foam tape] is the easiest adhesive I found for this . 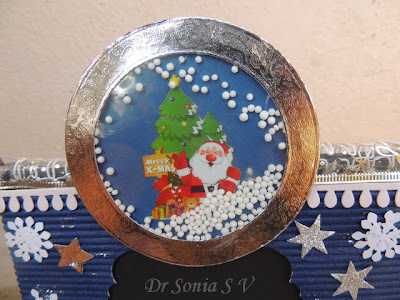 Washi lovers can have a ball too as washi /fabric tape is great to deck up plastic surfaces [as shared in this post on Recycling with washi]Thank you Priya for sending me the yummy Washi. 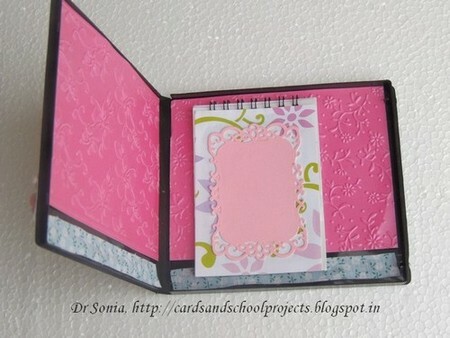 5.Choose a notebook /Post it notepad which is not too bulky and will let your CD case close without much mishap!! 6.In the collage above you can see my little crafter covering the notepad with pattern paper she had chosen and matching die cuts. Added stickers[a gift from Priya Sondhi--Thank you Priya],fabric flowers, punched flowers and some die cut foam and paper leaves on our recycled CD case. 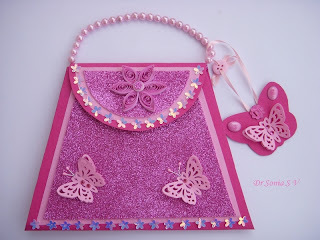 I hope I have you with me till now. 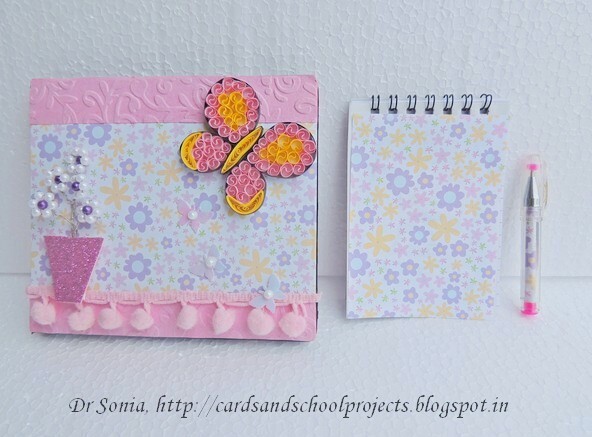 So that's 3 down on my list of Teachers Day gifts!! 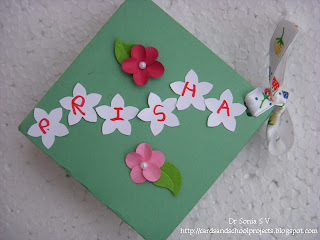 7 more to go..wish me luck!!! 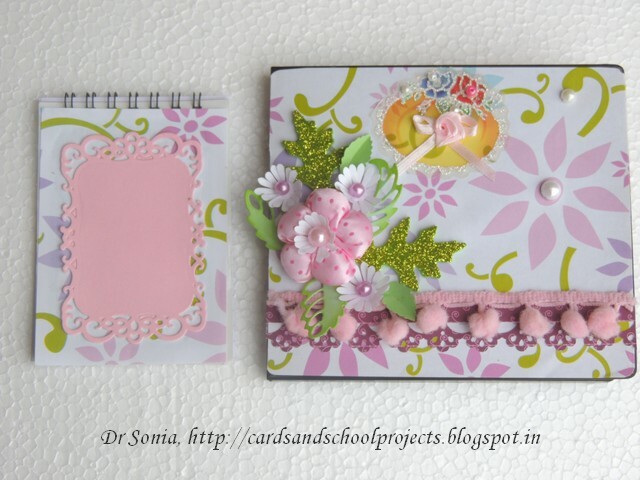 My husband had suggested making minialbums with the CD cases but the thought of making 10 albums for Teachers Day was too scary for me.Need input from you guys about experience with mini album making--how much time would a basic one entail ?